Los Angeles studio Early Work has created a light-toned showroom for a local jewellery designer, and furnished it with bespoke pieces in complimentary materials. 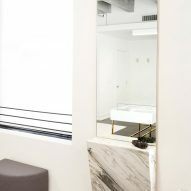 The 850-square-foot (79-square-metre) loft space in the city's Downtown area for Grace Lee, whose designs can be found in Steven Alan and Barneys stores across the US. It was overhauled by Early Work, formerly known as Brook&Lyn, to serve as Lee's own display space where she can also host client appointments. The studio faced two major challenges when designing the space: a built-in kitchen running down its length and the inability to add or remove anything structural, as stipulated by the lease. Early Work began by dividing the loft into four sections – a private office, a showroom, a lounge and a custom appointment area – while allowing flow between one another. 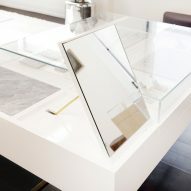 "We then designed and fabricated a bespoke set of furniture, fixtures, lighting and decorative elements to help showcase Grace's jewellery in a truly one-of-a-kind environment," said the studio. A white floor-to-ceiling curtain conceals the built-in kitchen, while reflecting natural light throughout the space. Walls are painted white, while dark boards cover the floor and concrete is left exposed across the ceiling. 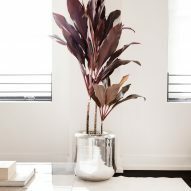 Other finishes are light in tone, with metal and wood accents complementing marble and glass surfaces. One wall is almost fully covered by a large woven artwork by Mimi Jung, who cofounded Early Work with Brian Hurewitz. 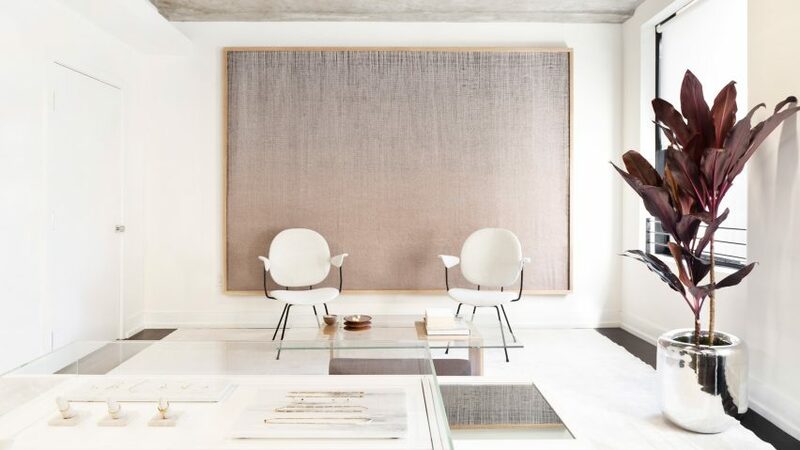 The duo has previously completed a showroom for online fashion retailer Everlane at its San Francisco headquarters. 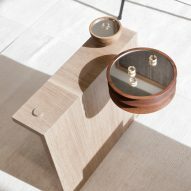 "Immediately upon entering, visitors are drawn in towards Grace's current and permanent collections, which are housed in bespoke polished brass and white oak displays," they said. Much of the furniture and lighting was designed by Early Work. These include a custom appointment desk, made from a stack of different elements, and three matte black pendant lamps – the studio's first light. 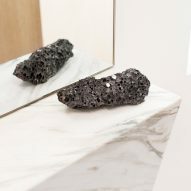 Jung and Hurewitz also styled the interiors of the display vitrines, one of which features marble trays and flip-up mirrors that conceal ring sizers and additional inventory when not in use.